A man has been arrested on suspicion of conspiracy to murder a Syrian-born preacher found shot dead in his car last week. 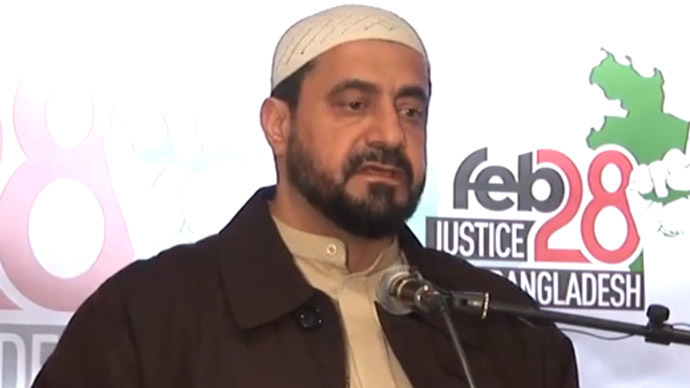 Imam Abdul-Hadi Arwani, a critic of the Assad regime, was found dead in a parked car in Wembley, north London, on Tuesday morning. A 46-year-old man was arrested Sunday night in Brent, northwest London, on suspicion of conspiracy to murder. He is currently in custody at a central London police station. Arwani, a father of six, was an imam at the An Noor mosque in Acton, west London, from 2005 to 2011. In an appeal for information, Arwani's son Morhaf, 20, said: "The police are currently investigating this brutal murder. As an individual, a family and a community, we are helping the police to solve this heinous crime. "Any information we have has and will be passed on to them and we urge anyone with any information to please, please, please do the same. "To members of the public that knew my late father and even those of you who didn't know him, please tell us what you know. We know that it won't bring our father back to us but it may help to deliver justice to those who killed him." Detectives from the Counter Terrorism Command (SO15) discovered that Arwani, 48, had driven to Havenwood, near Wembley stadium, close to the site of his death two days before he was murdered and had stayed there for a short while.